Do you want writing insurance? Speech recognition expert, Scott Baker shares his secrets stash of tips and techniques to help you write faster and stay healthy. 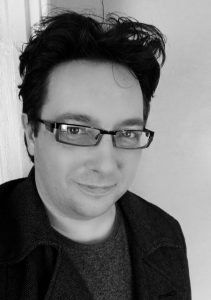 Scott Baker is a prolific writer who spent most of the last decade working in freelance nonfiction for numerous magazines in the UK. He began dabbling with Dragon voice recognition software in the late 1990s when it was, quite frankly, terrible. Things have improved dramatically since then and Scott now uses dictation on a daily basis, taking advantage of the tricks and techniques used by professionals within the speech recognition industry to write thousands of words per hour. His book, The Writer’s Guide to Training Your Dragon, has been described as the definitive book on Dragon for writers and has been an Amazon number one best seller for the last year. 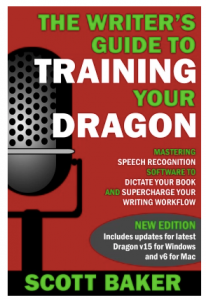 He recently launched the School of Training Your Dragon, providing online courses to quickly help writers explode their word counts and dictation up to 99% accuracy. He believes through a combination of the right equipment and training, there’s never been a better way for writers to improve their workflow and achieve sky high daily word counts with this incredible technology.